A recent Al Jazeera article written by James Ridgeway opens with the question, "Has America become a nation of psychotics?," and goes on to explain how antipsychotic drugs have become the best-sellers in the U.S. in the therapeutic drug class. Following the drug industry's creation in the 1990s of a new group of medication termed "atypical antipsychotics," touted as more effective with less side effects than their predecessors, the prescription of these new anti-psychotics has also grown enormously. While once reserved for diagnoses of schizophrenia and bi-polar disorder, the new class, reportedly, is prescribed for chronic depression, anxiety, insomnia, dementia, and more -- and all at steadily increasing rates. One of the more unsettling issues accompanying the rise in the number of people diagnosed with a mental disorder and prescribed anti-psychotics is its effect on children. According to a New York Times article cited by Ridgeway, there has been a 35-fold-increase from 1987 to 2007 in the number of children diagnosed with a mental disability that qualifies them for Supplemental Security Income (SSI) or Social Security Disability Insurance (SSDI). And incarcerated kids aren't beyond the reach of the industry either. Ridgeway cites a startling expose in the Palm Beach Post that explored the use of anti-psychotics in youth detention centers in Florida, finding that some centers purchased twice as much of an anti-psychotic as ibuprofen. Once upon a time, drug stores weren't the number one choice for commercial development (they pay the most rent), and normal health conditions weren't turned into diseases in order to market a drug to treat them. 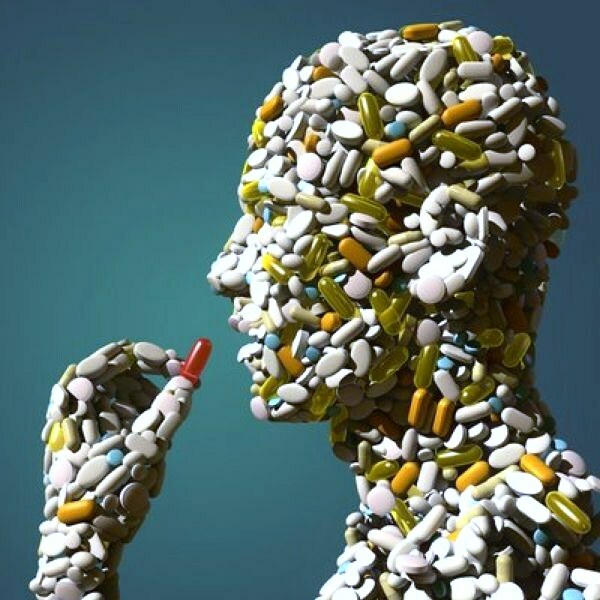 Pharmaceuticals are so prominent in daily life in the U.S., it's somehow not shocking to hear that anti-psychotic drugs have become so prevelant. The drug industry's $4.8 billion yearly advertising budget seems to fits especially well in an advertising culture obsessed with an unattainable happiness. Labels: consumerism, Consumption Junction, corporate issues, health, science, U.S. I had a student that was on antipsychotic drugs at a young age. A new doctor tried to pull him off. It was a messy few weeks and I've never witnessed anything like it. wow - that sounds intense tender branson.